NFL Physician Society Robert Heyer and the Denver Broncos quarterback will put aside the Super Bowl 50 competition to discuss healthcare, leadership, philanthropy and more likely than not, a little football. Three weeks after the Denver Broncos beat the Carolina Panthers in Super Bowl 50, they will meet again at HIMSS16 in Las Vegas. Broncos quarterback Peyton Manning and Panthers team physician Robert A. Heyer, MD, will sit down in Las Vegas for a fireside chat about leadership, football, healthcare, philanthropy and, likely, the NFL title. Heyer, along with his work treating the Panthers, is also the current president of the NFL Physicians Society. Being an NFL physician is a busy job, as the Associated Press recently reported 1,672 injuries in the NFL during the 2015 regular season that resulted in missed time, roughly equivalent to every player in the league. Not only is Heyer tasked with keeping his team healthy, but also offering guidance and support for the healthcare staffs on the 31 other NFL teams. The 39-year-old Manning’s accolades, as well as his own injuries, could fill multiple pages. The likely first-ballot Hall of Fame quarterback is the NFL’s only five-time Most Valuable Player and a 14-time Pro Bowl selection. With the recent win in Super Bowl 50, he's got two championship trophies and his 14 post-season appearances rank first by a quarterback in league history, along with his 91 career 300-yard passing games. While Manning’s leadership, strategic planning and preparation are legendary in NFL circles, it’s his off-the-field behavior that sets Manning apart. 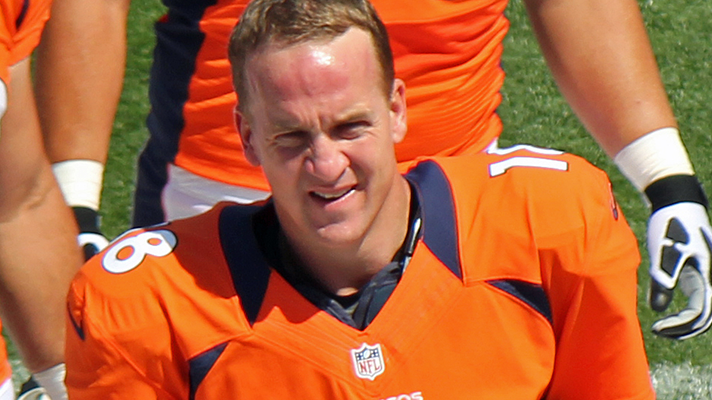 While playing for the Indianapolis Colts, Manning developed a relationship with Indianapolis’s St. Vincent Hospital and, in 2007, partnered with the provider to create the Peyton Manning Children’s Hospital at St. Vincent. Manning’s well-known promotional career has also seen him lend himself to the rapidly growing Tennessee healthcare organization Tennova Healthcare. The group recently grew to 11 hospitals and 80 physician clinics, where Manning spent his college career, and signed the former collegiate star to help promote the merger and the organization. Manning and Heyer will hold their fireside chat on March 4 from 1:15 - 2:30 p.m. at the Palazzo Ballroom in the Venetian.